This was a delightful dish that was super easy. 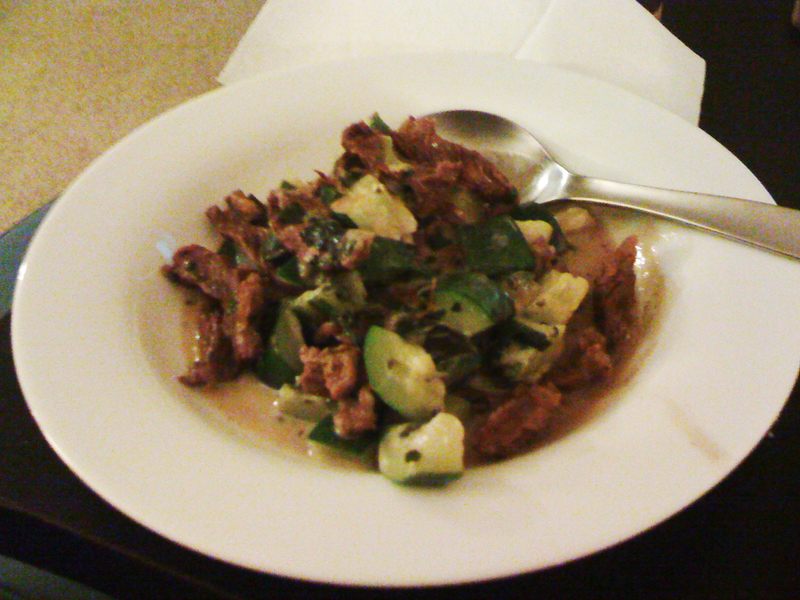 Then I mixed all that together with the “au jus” from the beef (and the beef and zucchini). It turned into a lovely brown gravy-like sauce that tasted similar to stroganoff! It was so yummy! Ryan and I each had seconds. Next Post You Could Have Seen Me Perform!